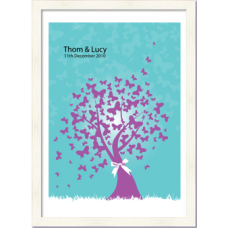 A pretty delicate design, a tree full of butterflies with a special day and names. An A4 glossy print. 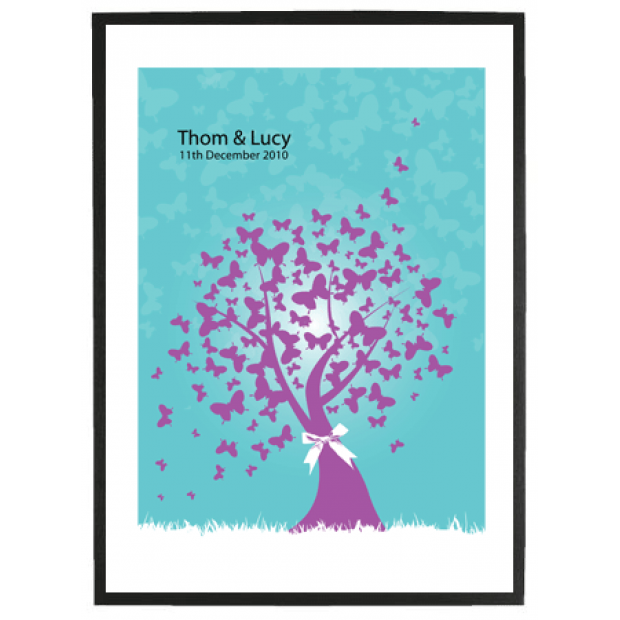 The A3 frame is available in black or white and includes a neutral coloured mount.